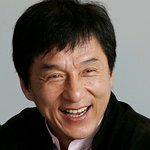 Jackie Chan attended the EEG x Orbis Flying Eye Hospital event in Hong Kong on May 24. Orbis is a non-profit global development organization dedicated to helping the blind affected by eye diseases to see light again. Their mission is to preserve and restore sight by training local healthcare specialists, educating the public and assisting the development of better healthcare policies to help raise the standards of healthcare in China. Their aim is to prevent and treat blindness worldwide. The Orbis Flying Eye Hospital is a well known feature of Orbis, and it’s also a very important tool in fulfilling their mission of the “Orbis Sight Saving Journey”. The flying eye hospital has enabled Orbis to bring together dedicated eye care professionals to treat the blind and give the gift of sight to those living in undeveloped regions around the globe. On board the aircraft is a classroom, audio-visual room, laser treatment room, operating room and recovery room, enabling local doctors and nurses to exchange knowledge and improve skills with the Orbis international medical team.